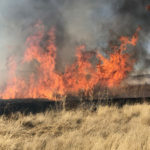 As summer draws to a close, the relentless heat of Oregon’s high desert slowly abates—a difference most keenly felt in the increasingly chilly mornings and evenings. 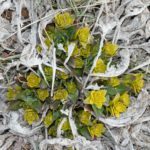 It’s this gradual drop in temperature, along with the shortened photoperiod (length of day), that clues organisms in to winter’s coming. It’s time to migrate, hibernate, drop excess foliage, or otherwise hunker down to endure the chill. Birds, like many aspects of the landscape, change in lockstep with the seasons. Some of the species found at Malheur Refuge are year-round residents, but the majority pass through on their way to other areas, using the refuge as a stopover site. This is especially true of Malheur’s shorebirds. Malheur Refuge is an oasis in the high desert of southeast Oregon, attracting up to 25 million migratory birds each year. Tens of thousands of these migrants are shorebirds. Twenty-seven shorebird species use the Refuge at various points throughout the year, including Western sandpipers, long-billed dowitchers, Wilson’s pharalopes, Wilson’s snipe and American avocets. Wilson’s phalaropes are dainty, eccentric shorebirds that congregate on Malheur’s shallow lakes and ponds by the thousands during migration. Unlike other phalarope species—which nest in the Arctic and spend much of their time wintering on the open ocean—Wilson’s phalaropes breed in North America’s interior and winter in South America. This species regularly nests on the Refuge. Phalaropes typically feed while afloat, frenetically kicking their legs to bring particles to the surface—a technique that incidentally causes the bird to spin like a top. All phalaropes are sexually dimorphic but in an unexpected way: females are larger and more brightly plumaged than males; females compete heatedly for mates; and males do all the nest-building and brooding. North America’s largest shorebird, the Long-billed curlew breeds in arid grasslands of the West and winters along the southwestern coasts into Mexico. Curlews are commonly seen far from shorelines, stalking prairies and other open areas in search of invertebrates. Long-billed Curlews were once more widespread across the Great Plains and Great Basin regions of North America, but much of their prime breeding habitat has been lost to agricultural development. It’s estimated that just one percent of America’s native prairies remains—a mosaic of short- and tall-grass habitats that support a wide variety of bird, mammal, invertebrate and plant species. Western sandpipers breed in northwest Alaska and Eastern Siberia, spending winters along both coasts of the Americas. Their twice-yearly migrations tend to occur in stages, rather than the marathon non-stop flights undertaken by some species. But no matter how many pit-stops are taken along the way, it is a considerable journey by any measure, particularly for a one-ounce shorebird. During spring and fall migration, Western sandpipers are usually the most numerous shorebird found at Malheur Refuge. Thousands of these pint-sized sandpipers can be seen carpeting the exposed mudflats along the Refuge’s lakes and ponds, fueling up for the journey ahead. The American avocet is a big, gracile, leggy shorebird with a distinctly upturned bill, commonly breeding throughout the continent’s interior and spending winters in Baja, Central America and along the Gulf and Atlantic coasts. When engaged in its most characteristic feeding behavior, the avocet wades purposefully near the shore, its sickle-shaped bill held inches below the water’s surface in a rhythmic coursing. Sweeping side-to-side through the murk as a reaper might wield its scythe, the avocet apprehends its invertebrate prey more often by touch, not sight. When the avocet happens upon a lively morsel, up snaps the bill and the prey is lifted from the water and quickly swallowed. 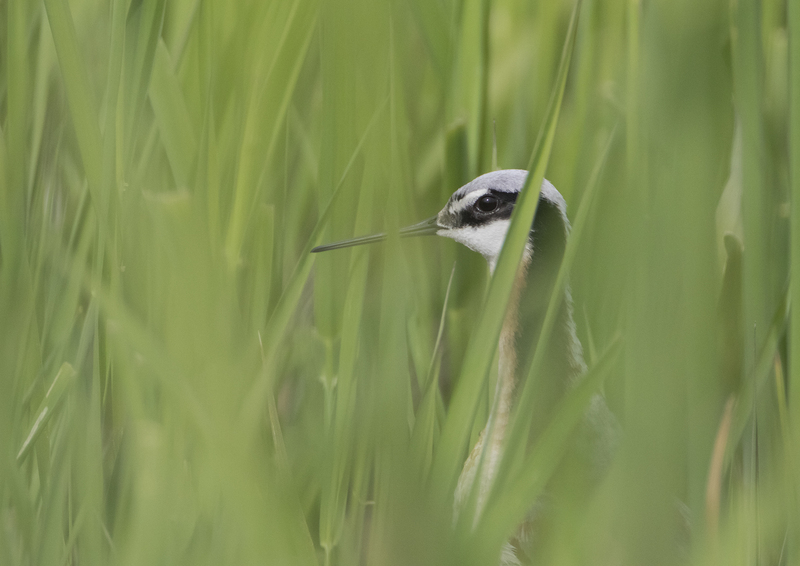 Due to a range of factors, from habitat loss or degradation at wintering and breeding grounds, to delayed prey abundance as a result of climate change, shorebird populations across the continent have declined by an average of 70% since 1973. Species that breed in the Arctic are among the hardest hit. That’s one of the reasons why Refuges like Malheur are so important—they provide reliable resting, breeding and nesting habitat for hundreds of migratory bird species and other wildlife. With more than 95 percent of wetland habitat along the Pacific Flyway now lost to development, the Refuge offers a crucial stopover site for shorebirds on their globe-spanning peregrinations. 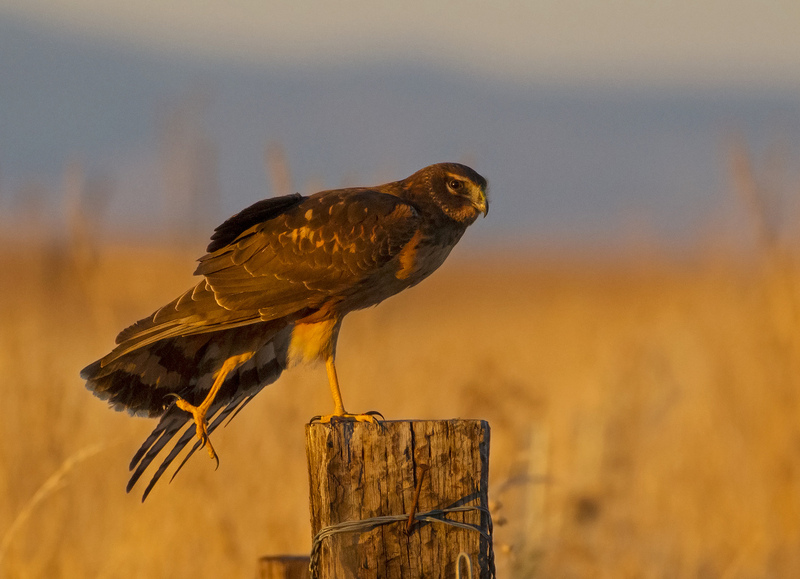 The marshes, prairies, agricultural fields and other grassy clearings at Malheur Refuge are home to a low-flying raptor with eyes and ears to the ground, hugging the contours of the land, scanning for sight and sound of prey. No other hawk hunts quite like the harrier, gliding so close to the earth on dihedral wings, coursing the terrain with downturned beak like a hound on the scent. Northern harriers are unique among North American hawks in their reliance on both sight and sound while hunting. This two-pronged approach shapes the harrier’s visage: its large eyes are framed within an owlish facial disk, which is thought to better direct sound toward the ears. As the harrier weaves low across its grassland habitat, face pointed groundward like an audiovisual receiving dish, any rustlings of mice, birds, or other secretive prey betray not just movement but faint auditory clues to the hunter. Harriers feed on small mammals, birds, reptiles and frogs, all captured and consumed on the ground. Few raptors exhibit sexual dimorphism to the degree of the Northern harrier. Males are smaller and a ghostly silver overall, with black wingtips; females are mostly dark brown, up to 50 percent larger, with black belly streaks and barred wings and tail. Frequently polygynous, males will take up to five female partners each season and provide almost all food for their mates and offspring. Harriers nest on the ground across the northern half of our continent, with each female bearing a single clutch of three to four dull white eggs. 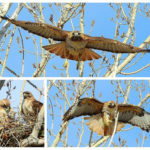 Across the entire Refuge, look for these so-called “marsh hawks” strafing open areas in any season, their owlish faces scanning the ground below for signs of prey. Human use of the Harney Basin dates back many thousands of years, when predecessors of the Burns Paiute Tribe, known as the Wada’tika (meaning “waada eaters”—a native marsh plant), ranged throughout the basin to take advantage of seasonal resources such as fish, ducks, antelope, mountain sheep, coyote, muskrat, bison and a variety of plant materials. Stone tools, bone middens, cached seeds, and basketry materials more than 9,000 years old have been found in the basin, all testament to the Wada’tika way of life. Up until the mid-1800s, the Wada’tika maintained this traditional existence, living off the land through the seasons: hunting game in spring and summer, collecting seeds in fall (including those of the lakeshore plant known as waada), drying fish and roots for winter storage. The arrival of Euro-Americans would forever change this land-use pattern. In the 1830s-40s, fur trappers and settlers streamed into the basin, putting pressure on local resources and staking claims of ownership, sometimes aggressively. Disputes over property and resources, coupled with introduced diseases to which the Wada’tika had no immunity, pushed them from their homeland and eventually onto federally-designated reservations. With the area all but cleared of its original inhabitants, settlers and ranchers spread across the Harney Basin, claiming land using federal homesteading laws such as the Swamp Land Act and the Desert Land Act. By the late 1800s, Euro-Americans were running thousands of cattle and other livestock on the basin’s wide-open expanses of grassland and sage-steppe, starting a legacy of use that continues to this day. Vestiges of those early days of ranching remain throughout the basin: barns, bunkhouses, corrals and other trappings of the livelihood. At Malheur Refuge, most of these historical structures belonged to a single ranching outfit: the French-Glenn Livestock Company, founded by Dr. Hugh Glenn of California and operated by a young man named John W. “Peter” French. Dr. Glenn, already a prominent rancher in Colusa County, California, took advantage of the 1862 Homestead Act to begin building a vast cattle empire in southeastern Oregon. In 1872 he sent French with 1,200 head of cattle, six vaqueros and a cook to claim land in the lush Blitzen Valley for his new ranch. Rimrock and canyon country bordering the marsh and grasslands of Blitzen Valley created natural, fenced pastures for livestock. Building short sections of rock wall along rimrock-lined pastures easily completed the boundaries of pastures, and natural forage was abundant. French used the Homestead Act to claim 160 acres at the south end of the Blitzen Valley for his boss, establishing an outpost that came to be known as P Ranch. The first shelters at P Ranch were probably hurriedly built of sod, poles and some cut lumber with perhaps layers of willows or hay for a roof. A log cabin and small barn located next to the Blitzen River were eventually built. By the late 1870s, a store, large saddle barn, round barn for working horses, bunkhouses, blacksmith shop, storage sheds and residence were established at P Ranch, which French used as his headquarters. Other outposts, or “subheadquarters”, sprung up at Sodhouse Ranch and Diamond Valley. At its height, the holdings of the French-Glenn Livestock Company—including P Ranch—encompassed more than 170,000 acres from Steens Mountain to Malheur Lake. Of the three round barns originally built by the French-Glenn Livestock Company, the Peter French Round Barn in Diamond Valley is the sole survivor. The “barn” is more of an enclosed corral than a proper barn, and was used to train horses to pull wagon trains of wool, hay and supplies to market in Oregon City, near present-day Portland. 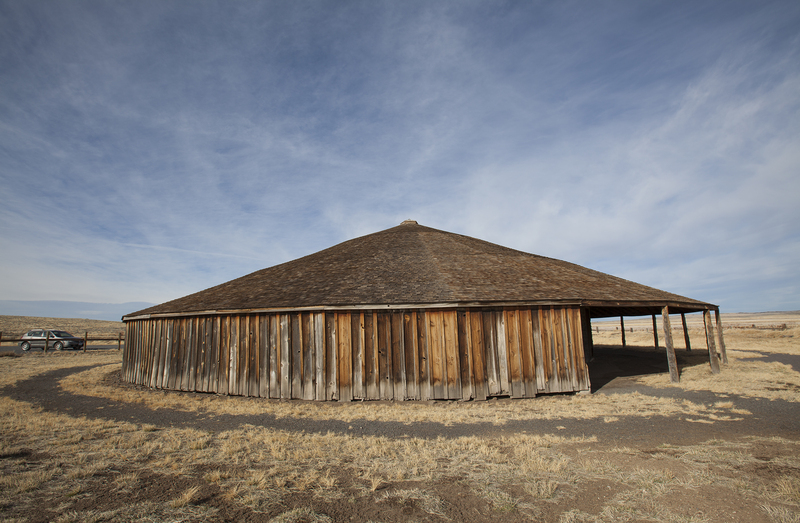 Located about 13 miles south of Malheur Lake and 50 miles southeast of Burns, the round barn is but one of many historical sites scattered throughout Harney Basin that represent a distinct shift in human use of the area, as seasonally itinerant bands of indigenous people gave way to permanent Euro-American settlements.